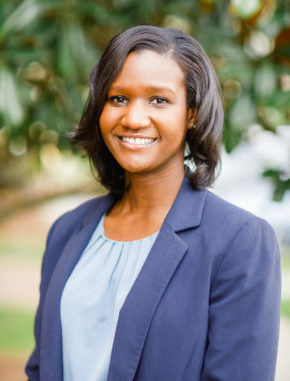 Nicole graduated from North Carolina State University in Raleigh, North Carolina in 2013 where she obtained a Bachelor of Arts Degree in Political Science. She then attended the University of North Carolina School of Law where she obtained her Juris Doctor. During law school she was a member of the Holderness Moot Court Client Counseling Team and the Black Law Student Association. Nicole was also awarded the Eugene Gressman and Daniel H. Pollitt Oral Advocacy Award for Best Overall Oral Argument. She was admitted to the North Carolina Bar in 2016. Upon graduation from law school, Nicole served as an Assistant District Attorney in Mecklenburg County, North Carolina. She prosecuted matters that ranged from minor traffic violations, to more complex charges of driving while impaired, as well as domestic violence and child abuse. Not only did she litigate numerous matters in District Court, she also conducted trials by jury in Superior Court. Nicole is originally from High Point, North Carolina but currently lives and practices in Charlotte, North Carolina. When she is not practicing law, Nicole enjoys traveling and spending time with her family and friends.